With this launch AOPEN has entrusted Acer to market, sell, and handle the after-sales service of its monitors and related accessories globally. As an Acer subsidiary, AOPEN can leverage the Acer Group’s global footprint to create greater synergy and efficiency in operations. AOPEN is known for its expertise in high-quality monitors and this move with Acer brings deep knowledge of the Indian market with a vast network of partners and service centers to leverage on. Customers will be spoiled for choice with high-quality offerings serving a wide use case right from entry level to curved screen gaming monitors. AOPEN Gaming Monitor are ideal for users who want to be enthralled in gaming. 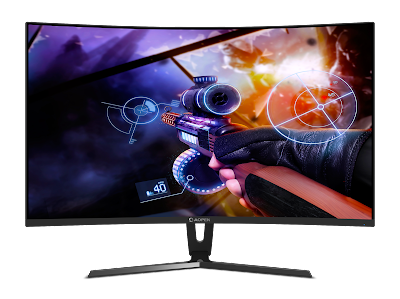 It brings games to life in super sharp colors with upto QHD display, VA ZeroFrame, 1800R curved display and features like rapid 144Hz Refresh Rate, 4ms response time it delivers an ultra-smooth 2D motion images. The in-built technology eliminates screen tearing when fast-moving objects buzz across the screen to deliver a smooth gaming experience. The fast refresh rate is being increasingly coveted by players for making quick and accurate in-game maneuvers while the AMD FreeSync technology puts an end to choppy gameplay and broken frames with fluid, artifact-free performance at virtually any frame rate. The beautifully designed monitors perfectly complements your space, whether be it a living room or an intense battle filled gaming room with design features like curved screen, thin bezel and metal stand. AOPEN monitors have Optimize Image Quality where it takes low-res images and bumps them up a notch and gives Ultra HD feel. It also uses unique form of 6-axis color adjustment in order to aid professionals in obtaining the exact color and hue they prefer. With this feature, the user can adjust hue and saturation in 6 axis. These axis range from R, G, B to C, M and Y, and allow the user to cater the monitor’s colors to their professional needs. To round out the gaming experience, AOPEN monitor series feature Low Blue Light which filters out harmful blue light by adjusting OSD settings and also it’s been enabled with Flicker-less technology which eliminates annoying screen flicker, and provide comfortable viewing experience. Starting at Rs. 19990 the AOPEN gaming monitors will be available in India from Amazon exclusively. AOPEN has entrusted Acer to market, sell, and handle the after-sales service of its monitors and related accessories globally. To find out about availability, product specifications and prices in specific markets, please contact your nearest Acer office or retailer.